Hello everyone, today I just wanted to share a special cause that can use your support. 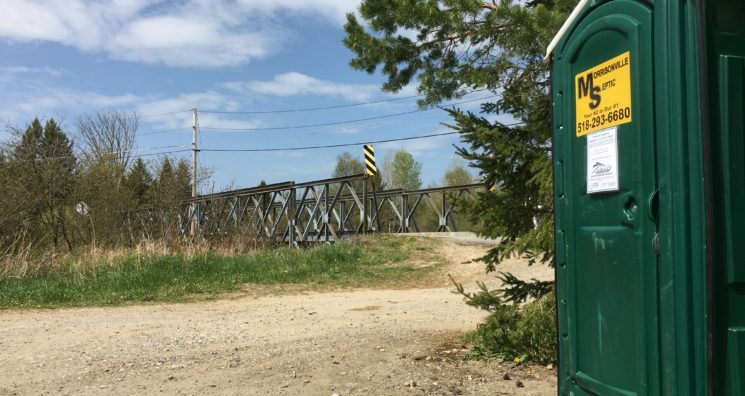 For many years, the Ausable River Association (AsRA) has managed a Porta-John Program to place portable restroom facilities at high traffic areas throughout the Ausable River watershed. This program helps maintain the health of the river and ensures visitors have an enjoyable experience. If you have been to the Adirondack High Peaks region in the last several years chances are you have benefited from this service at some point or another. Last year, AsRA piloted the expansion of this program to popular trailhead locations. This includes the Cascade Mountain, Roaring Brook Falls, Chapel Pond, and Giant Ridge trailheads. The expansion was a resounding success and clearly benefited users and the surrounding environment. This year, DEC asked us to provide handicap accessible facilities at these locations. These facilities provide accessible road side facilities to all visitors of the park. However, this comes with a significant increase in cost to run the program. If you are a visitor to the area please consider giving whatever amount you can to support the continued success of this program.